* Credits are used to regulate transactions performed via SelfProtect or AutoProtect. Transactions generated through WebProtect (the Wordpress Copyright Proof plugin) do not require credits. All plans incorporate 3 free credits at sign-up. Why is there no totally-free plan except for Wordpress-only users? The Digiprove service is a real industrial strength solution, incorporating patented technology for tamper-proof audit trail and cryptographic proof running as a web service. 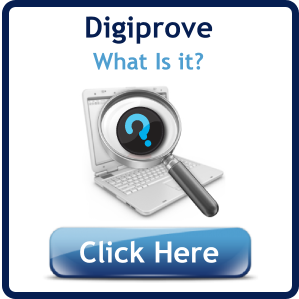 Digiprove is the only such service that has been independently tested. This service delivers. Yes. Sign up to any of our plans for a year and we will give you twelve months for the price of ten. The full 12 month allocation of credits is immediately added to your balance. Yes, all subscription plans are free for the first month. You may close your account at any time, at https://www.digiprove.com/members/close_account.aspx. There is no fee for this. You will lose access to the online services. However Digiprove certificates you have obtained remain valid. How are my credits consumed? When Digiproving files, zip files - even large ones - count as 1 file. The number of files you can Digiprove for one credit depends on the subscription plan. Can I top-up my credits? Yes. At any time you can purchase additional credits. We offer licensing and usage plans for corporate or institutional users who can deploy Digiprove across the organisation and/or integrate with corporate systems. Call +353 1 4404312 or email sales@digiprove.com for more information. Detailed terms and conditions can be reviewed here. The Basic plan is for for occasional users at www.digiprove.com or non-commercial users of the "Copyright Proof" plugin for Wordpress. There is no subscription fee. It is also good if you want to try it out without buying or giving any credit card details. You will have access to the members' area for one month. The account is pre-loaded with 3 Digiprove credits, which are for use at www.digiprove.com. Additional credits can be purchased in any quantity, and members' area access will continue for a month from any such purchase. The Personal plan is for non-commercial users of the "Copyright Proof" plugin for Wordpress or any user who needs the additional facilities indicated in the plan, such as multi-domain support. 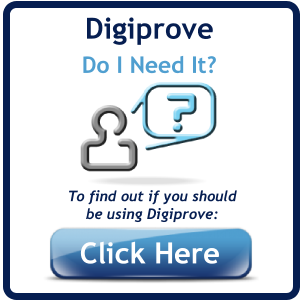 It is also for users who want regular access through the members' area at www.digiprove.com to Digiprove File or email functions. For such users this plan includes a monthly or annual allowance of credits for use on the website, and top-up credits can be purchased in multiples of 10. The Professional plan is suitable for commercial users or other users with a regular need for Digiproving. Top-up credits can be purchased in multiples of 10 or more. The Corporate Light plan is for those who will use Digiprove regularly during the day or who want embed the technology in their own systems through use of the AutoProtect app or Software Development Kit. As it permits up to 3 individual users to work from the same account, it is ideal for small teams. Top-up credits are available in multiples of 20. The Corporate plan is for small companies (or departments) who have adopted Digiproving as a systematic solution to their requirements, whether embedded into their existing software or used at digiprove.com. All features of Digiprove are available. It permits multiple users to operate as a team.